Below, in alphabetical order, are short biographies of the licensed acupuncturists who serve Common Ground’s Community Acupuncture Clinic. All practitioners are fully licensed, insured and have graduated from accredited acupuncture schools. Virginia licensing requires all acupuncturists to update their knowledge and skills through continuing education. All practitioners treat a broad spectrum of conditions and ailments, including stress and pain of all types. 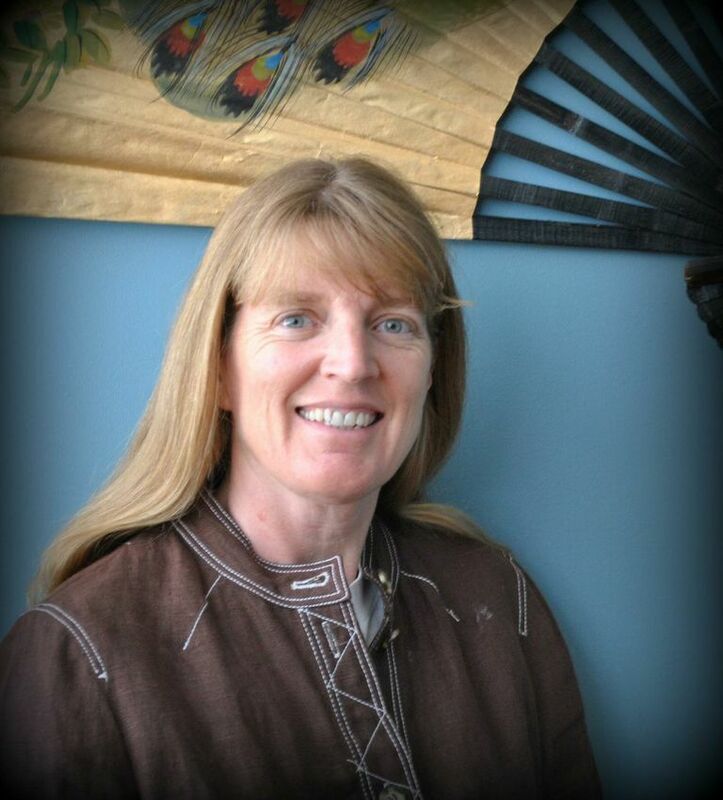 Cali Gaston earned her Master of Acupuncture degree from The Traditional Acupuncture Institute (now Maryland University of Integrative Health) in Columbia, MD in 2000, and her BA from Johns Hopkins University in Baltimore, MD in 1984. She practices Five Element acupuncture and has a particular interest in “how treatment can help someone come home to themselves.” Cali is also an RN with experience in psychiatric nursing. Her private practice, Great Bell Acupuncture, is in Charlottesville. Robert A. Hoffman has been practicing acupuncture and herbal medicine for twenty three years. His goal is to provide a healthcare experience with a focus on body, mind and spirit. He likes to say, “The 8 limbs of Oriental medicine seek to foster the innate gift of health within, while resisting dis-ease from the outside.” He has traveled extensively throughout the world to study and learn universal truths that support and create healing from within. Robert enjoys coaching people to become active participants in the healing process. His style of treatment relies on the 8 limbs of Oriental Medicine to support the highest state of health and virtue innate and within each person. Robert has also taught and supervised students at two Schools of Acupuncture in the Washington D.C. metro area. Sam Pierceall Sam Pierceall’s path to acupuncture began as a humble offshoot while studying organic farming when he developed a deep interest in herbal medicine and the healing properties contained within plants. After successfully completing a three year certificate course in herbal medicine offered at Sacred Plant Traditions in 2011, Sam’s devotion to holistic modalities deepened further. In researching and discovering what was possible through acupuncture, he knew that it was something that held great promise and that he needed to learn more. After three years of school and one year of clinical internship, Sam graduated from Jung Tao School of Classical Chinese Medicine in Sugar Grove, NC in 2016. Sam enjoys sharing the benefits of this ancient medicine with those in his community, and helping clients find their own personal path to health and wellness. Sarabeth Whedbee is a 2000 graduate of the Academy for Five Element Acupuncture in Hallandale, FL. She also received ordination from the One Spirit Interfaith Seminary (NY, NY) in 2008. She was a certified alcoholism counselor in Maryland (1991) and is a graduate of St. Mary’s College, Maryland (1987). She maintains a private practice in Charlottesville.